Preview the latest Eynsham News and try a puzzle too! Preview our latest issue before it hits the streets! What matters most? Have your say and win £25 from Eynsham News! 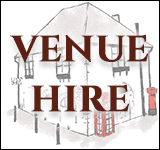 How about advertising or sponsorship with Eynsham News as it embarks on a sixth successful year? Here's a preview of our latest newsletter before it hits the streets. Pride yourself on having an ear to the ground? Why not get some recognition for your expert knowledge? Another annual round-up from the Eynsham News team. Do keep the stories coming, we love to hear from you! This month’s Eynsham News may be the last one printed locally, as our one remaining printer consolidates its operations. 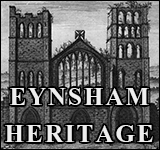 Many thanks to those who took the time to write in with their thoughts on Eynsham News - anonymous or not. The latest issue of “Eynsham News” has had an eventful ride. 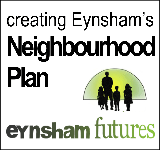 A comprehensive community-based Eynsham News is set to launch in April - make it work for you! Your Free Newsletter 18 Mar 2019 Preview the latest Eynsham News and try a puzzle too! This issue marks the conclusion of our sixth successful year. Never let it be said we are resting on our laurels - there are TWO versions of Eynsham News and a puzzle this time! Please select your free download/s below. 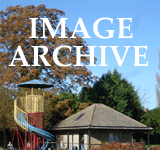 Would a large print version of the Eynsham News be helpful to you, or to any of your family and friends? It can easily be produced on a regular basis, if we can find an acceptable format. From discussion with some older residents, we’ve registered that one typesize may not suit all; that ‘sans-serif’ font may be preferred; and that text may be better left-aligned, instead of spreading across the column. Please download our demonstration issue, print and share it if you can... and tell us what you think!